Seminole, FL/Herkimer, NY-Patricia A. 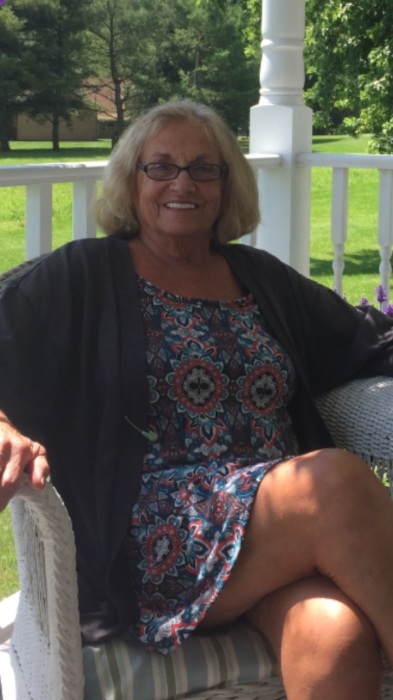 "Patti" (Shaul) Lampert, age 75, of Oberle Road, Herkimer, passed away early Saturday morning, August 4, 2018 in the comfort of her Seminole, Florida home, in the presence of her loving family. She was born in Herkimer on April 23, 1943, daughter of the late Vincent and Ida (Donato) Shaul and received her education in Herkimer schools. Patti proudly graduated with the first graduating class of the new Herkimer High School, in 1961. For the first seventeen years of her life, Patti traveled with her family and father who was a career Air Force Veteran. Many will remember her as the owner and operator for several years of Herkimer Home and Leisure. Patti was an independent, hard-working and diligent in her career as a business owner. Most importantly, Patti's children were first and foremost and her life revolved around the lives of her babies. As a devoted mother, her instincts were always directed at facilitating her children to be the very best they could be and enjoy what life had to offer them. She raised them with affection, encouragement, love and support. She had a green thumb and had many thriving house plants. She also loved outdoor flowers and gardening. Patti was affectionately known and will be remembered by her many family members and friends as a free spirit with a giving nature. She will be deeply missed by all those who had the pleasure of knowing and sharing life with her. Survivors include her beloved children, Kristin Lampert of Herkimer and Jon Lampert and wife Tian of Frisco, TX; adored grandchildren David Krouse and his girlfriend Shannon Phillips of Herkimer, Andrew Lampert and Emily Lampert of Frisco, TX; her loving and devoted sister and best friend, Jacqueline Shaul of Herkimer; a loving brother, David Shaul and wife Diana of Austin, TX; cherished nieces and nephews, Jacqueline White, David Baggetta, Daniel DeJohn, Michael Paul and wife Leslie, Jennifer Arnold, Angela Shaul and Patrick Shaul. Besides her parents, she was preceded in death by her cherished brother, Donald Shaul on January 20, 2006. Private graveside services will take place at Mountain View Memorial Gardens in the town of Little Falls. There are no calling hours. Daniel J. Enea Funeral and Cremation Care, 7507 State Route 5 (corner of Bidleman Rd.) Little Falls, 315-508-5131, has been entrusted with Patti's funeral arrangements. Kindly consider memorial offerings in her name to the charity of your choice. The family would like to thank her Mission Oaks friends for being a part of Patricia’s dream of retiring in Florida.